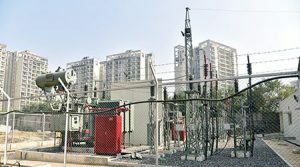 To do away with the problems of voltage fluctuations and power losses, Candor TechSpace has installed 66/11kV substations for its campuses at Sectors 21 and 48 in Gurugram. The quality of power supply at Candor’s campuses in sectors 21 and 48 of Gurugram is all set to improve by leaps and bounds thanks to the installation of new 66/11kV grid substations. The new substations will ensure a seamless supply of power with minimum interruption or changeovers in the campuses. Substations receiving power of 11kV had previously been installed to cater to the power requirements of these campuses. Despite this, the campuses would still experience power interruptions. To cater to the power demand, diesel generators (DGs) would have to be run for longer hours, which in turn would eject polluting emissions into the atmosphere. 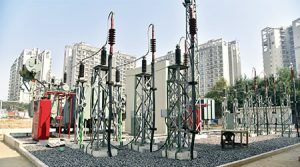 Candor has set up a new 66/11kV switchyard for its campuses in Sectors 21 and 48 of Gurugram. 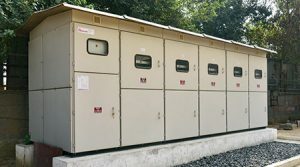 The rating of a switchyard is defined as per the power handling capacity, location and purpose of a substation. The new substations come with a planned rating of 66/11kV, which means that they have been designed to receive power from 25 MVA to 80 MVA on 66kV and the power will be distributed on 11kV for different receiving stations or towers. The new substations are significantly easier to care for on a regular basis as they need low maintenance. They also contain their own integrated testing instruments. Also, since the substations are both air-insulated switchgear (AIS) and gas-insulated switchgear (GIS) based, it means that arc fl ashes (the rapid and dangerous release of energy due to an electrical arcing fault) are rare. This is because all the interior elements of the substations are insulated, with only the cable compartment being accessible. As the parts are fully insulated, no cables or linkage can come in contact with the live parts. As the country’s power demand grows by 4-5 per cent annually (as per news reports), setting up better infrastructure to meet the rising load is the need of the hour. The power supply issues in Gurugram were becoming a big concern for the tenants of Candor’s campuses. The 66/11kV switchyard set-up will minimise these power issues. The installation of these 66/11kV substations will help Candor provide more reliable power supply in the future and serve its occupiers better. It will also lower the dependence on diesel generators, thereby helping reduce the usage of diesel, which is a non-renewable resource. The supply for these 66/11kV substations comes from the 220kV grid which is being monitored on high priority by the State Department. With the availability of this grid electricity, power generation from DG sets will be reduced to a minimum—this poses a benefit to the environment. Moreover, the frequent changeover to the 11kV line requires restarting of the chillers and other mechanical equipment. This continuous running of the machinery ensures lesser power consumption and also a seamlessly comfortable environment in tenants’ offi ces. The 11kV switchgears are already installed inside the substation building within the campuses. These switchgears are equipped with a vacuum circuit breaker and the metering and protection relays are part of them. The control voltage is 220 VDC. 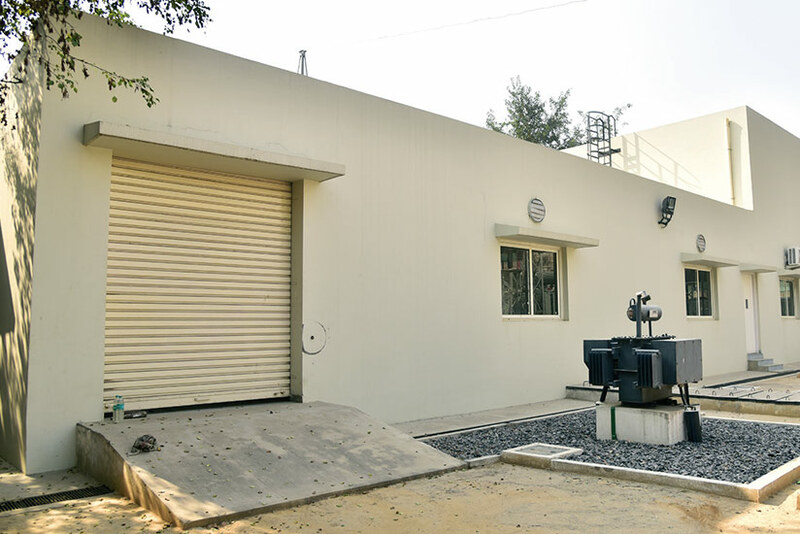 The substation at our Sector 21 campus was energised on 22nd December 2018 and is now fully operational. The substation at our Sector 48 campus will be functional soon.